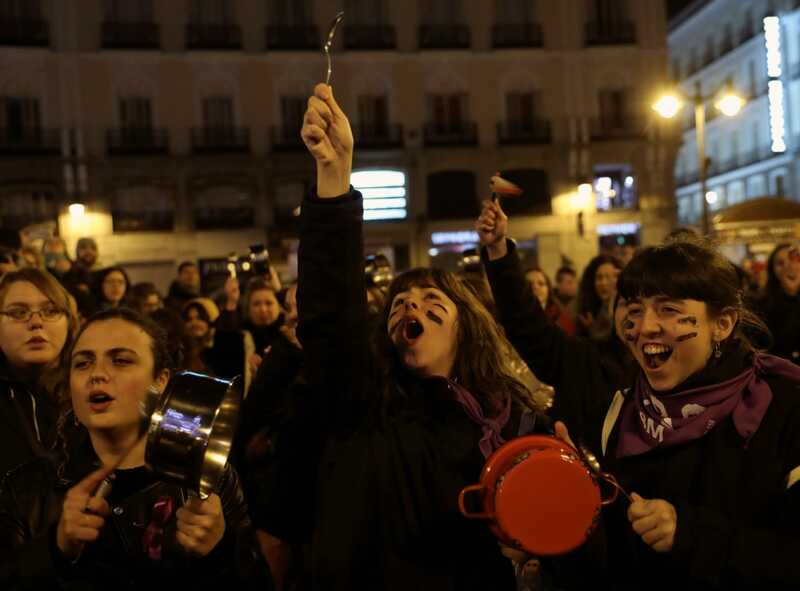 Loudly banging pots and pans, a few hundred women protesters gathered in Madrid in the early hours of Friday to mark the start of International Women's Day. 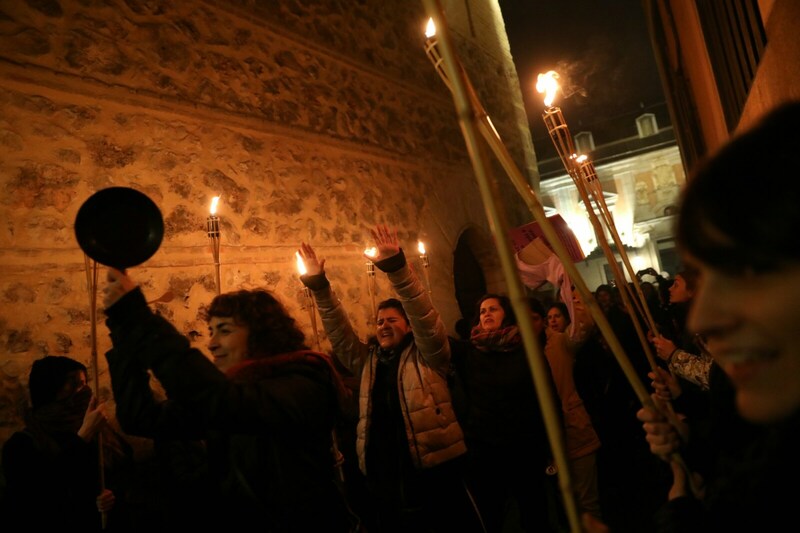 The women - some wearing purple bags and clothes, and holding banners that read "Sister I do believe you" - met at midnight in Puerta del Sol square in the heart of the Spanish capital, in one of the first protests in Europe to commemorate the day and call for more gender equality. Purple has in recent years been a signature colour of women's rights protesters. 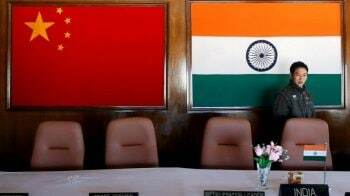 "It's essential to demonstrate and more in a day like women's day because there are still a lot of gaps and problems in society that women face and need to overcome. 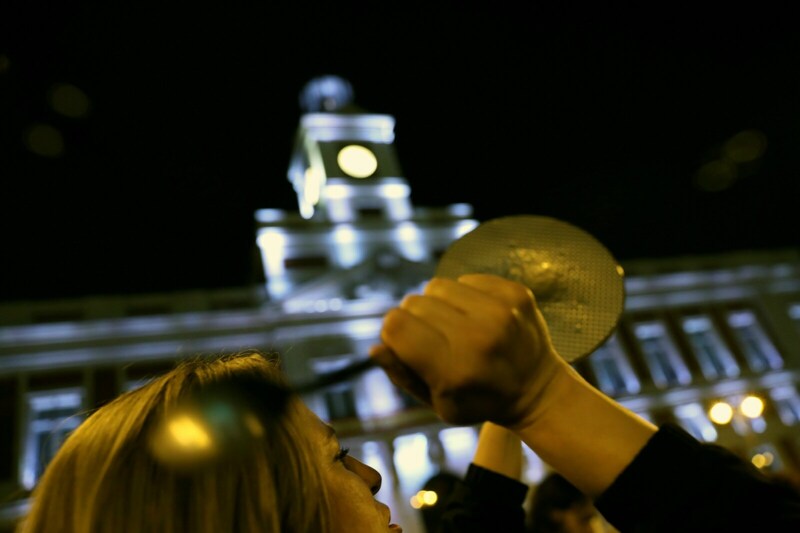 We are in a patriarchal society," said Abril Vilatrollol, a 21-year-old cinema student protesting in the square. She added that sometimes she fears for her safety when heading home after partying at night, and argued that there is clear discrimination against women in the cinema sector. 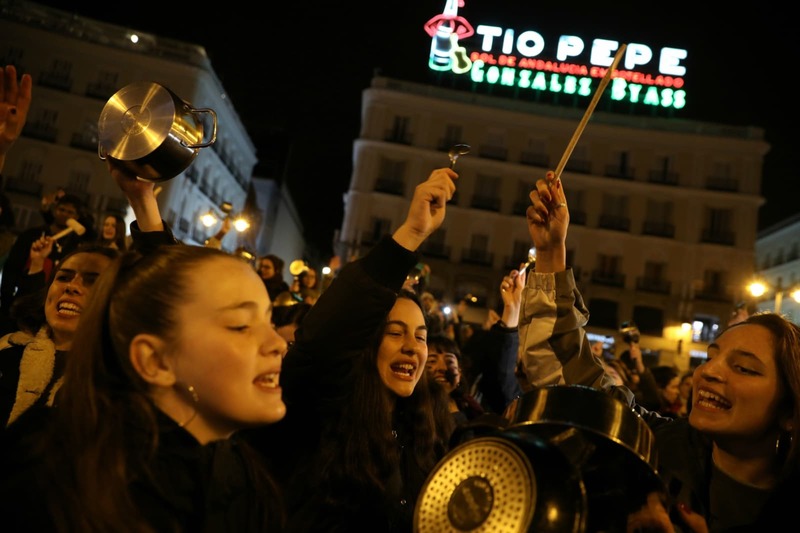 Larger rallies are expected in Spain later on Friday during a general strike, at a time when gender inequality has become a divisive issue ahead of an April 28 parliamentary election. 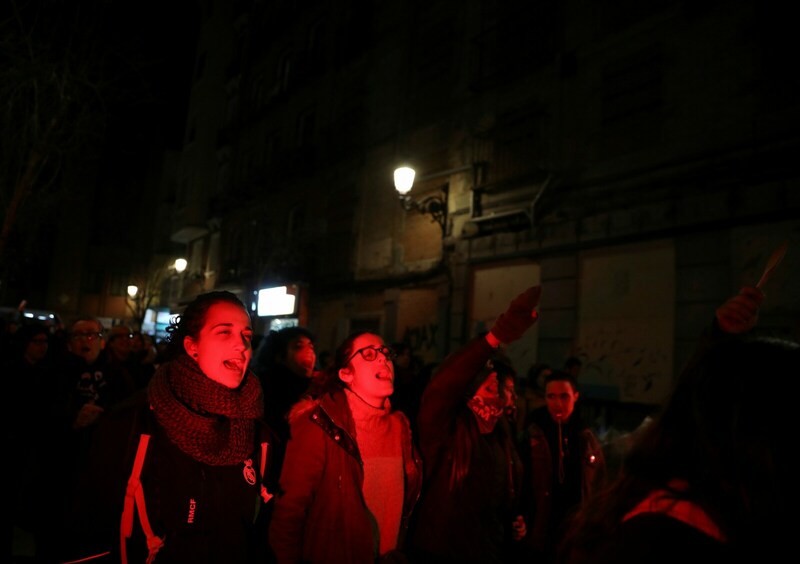 New far-right party Vox, which according to opinion polls would for the first time win seats in a parliamentary election, has called for the scrapping of Spain's gender violence laws, one of its trademark proposals. 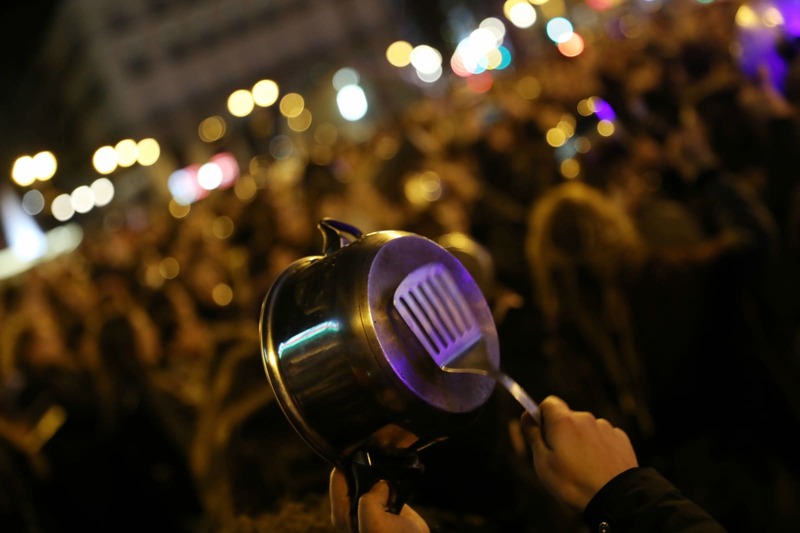 The conservative Partido Popular will not take part in major March 8 demonstrations, arguing that they have been politicized by the left. 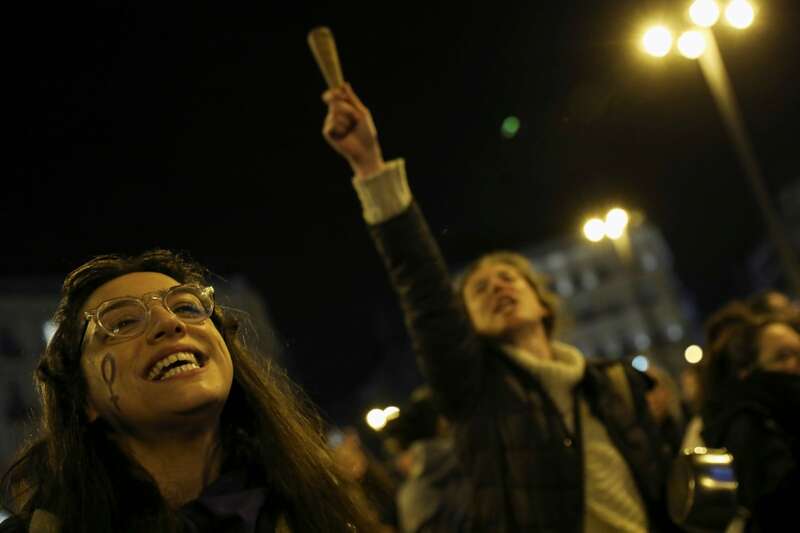 On the other side, Prime Minister Pedro Sanchez's Socialists have made gender equality a top priority of his nine-month government and reelection campaign.